I have just returned from a wonderful visit to India, and as usual I spent most of my time in Punjab visiting family and friends, with a day or two in Delhi. The main reason for my visit this time was to attend my nephew’s wedding in Gurdaspur, and then there was a very interesting Parvassi Samelan in Punjab during this month. Bhai Baldeep Singh invited me to visit this historic place for a deeply moving experience. He is the chairman and Founder at the Anad Foundation, which aims to preserve the history and also the artistic culture of that history, especially Punjab’s musical traditions, like the dying art of the Rabab, and artistic traditions like calligraphy. He is also a very talented musician. At first, I thought my ignorance that this historic fort even exists was because I live thousands of miles from Punjab, but many of my relatives or friends in Punjab, who lived in the vicinity of it,didn’t know of its existence or significance either. So there is certainly something else going on and the major reason is that Sultanpur Lodhi is not being treated with respect as it deserves as a place of historical significance for Indians, Punjabis, and especially an important part of Sikh history. A similar effort one hears is underway to preserve historic sites in other places in India, so I fully encourage this to take place in the Punjab. The audience in attendance of the seminar Bhai Baldeep Singh invited me to were calligraphers, painters of Gurbani Ragas, poets, and those with an interest in preserving this important part of our history as Punjabis and Indians, but especially for those who are Sikh. I felt greatly honored to be amongst them and found the entire event utterly engaging and thought provoking. My son-in-law’s family live in Kapurthala next door to Sultanpur Lodhi, and they insisted I should come visit them first, and then they will take me to Sultanpur Lodhi. I quickly accepted the twin invitation. I never say no to kind hospitality, good food, and great conversation! The road from Chandigarh was in a thick fog and I almost felt like I was back in the Central Valley of California! The fog blanketed the roads and wouldn’t lift for the entire day, which really raised expectations of what this historic site would be like. Even back in California, I try not to drive anywhere when weather conditions aren’t good, but this was completely worth the hazardous road conditions, although I would strongly recommend waiting for the fog to lift before driving! Just a few miles from Sultanpur Lodhi, I attended Khalsa College in Amritsar. 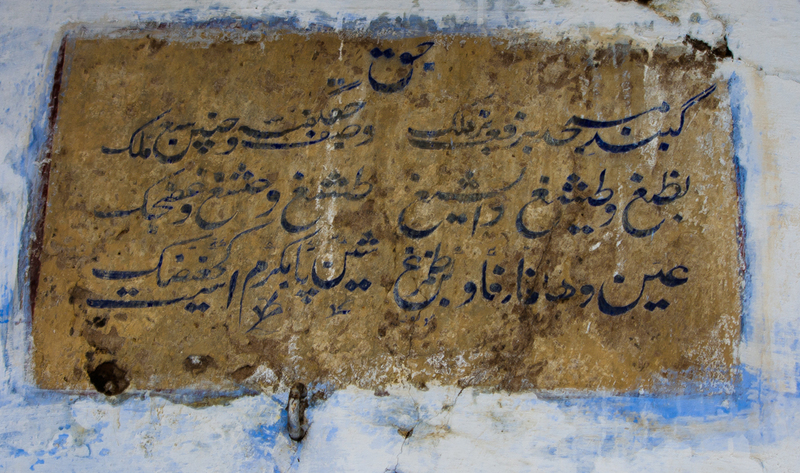 My wife grew up just a few miles in the other direction in Tarn Taran, yet neither of us had ever stopped to see a treasure in the form of a historical place at Sultanpur Lodhi for all Indians, Punjabis, and especially Sikhs. Growing up in Bhakna a few miles away in the west, I heard stories from the Janam Sakhis of Guru Nanak Dev Ji returning from his meditative trance and declaring what would become the foundation of the Sikh religion and resonated with the ideology of the Ghadrites who really tried to put in practice: “There is no Hindu, there is no Muslim,” a call to the end of discrimination and a fight for human rights, a fight that continues today. One often worries and complains about the destroyed history due to ignorance as the marble has replaced our humble yet proud heritage up and down the country over the years. But what about the landmarks still standing by the mere stroke of luck or their sheer resilience and are in the state of complete neglect and encroachment only waiting to be replaced or come down on their own? 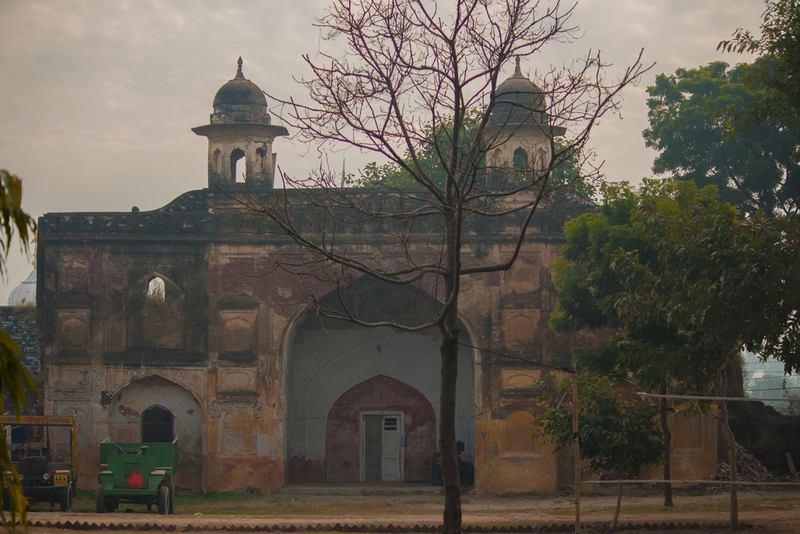 One such monument of the greatest importance for the Sikhs is the Nawab’s fort at Sultanpur Lodhi! 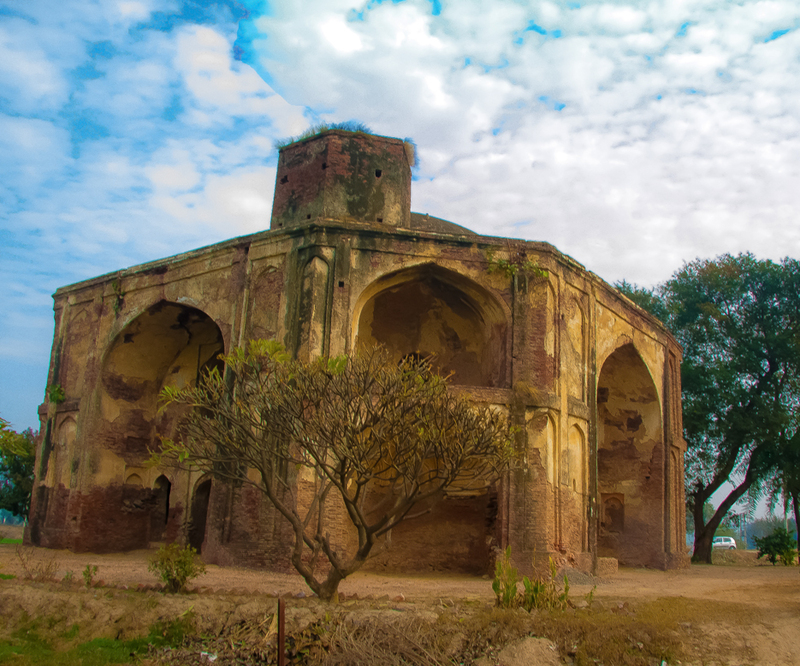 Many people believe that the mosque still standing within the compounds of this fort (Quila) is the same mosque where the Nawab Daulat Khan had invited Guru Nanak to participate in that much talked about namaz or Muslim prayer. Next to the mosque, there remains that ancient narrow brick lined well which is now covered by an iron grill. 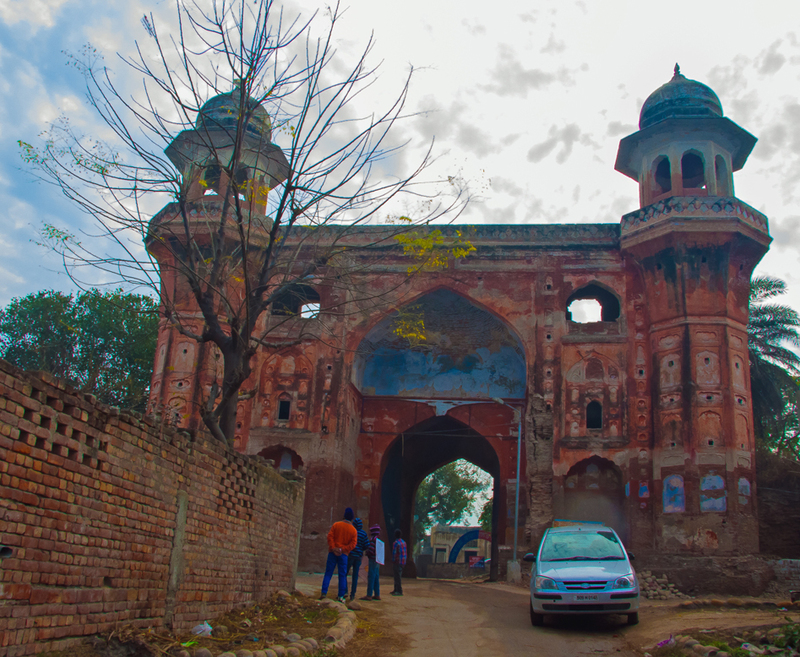 Outside the Sultanpur Lodhi Fort is a ruin called HADERA which is believed to be once the place of rest for the queens on their way to royal gardens.